It was our second Fourth of July in a row that we weren't in America to celebrate but when you think about it, what other freedom can you imagine as an American than being able to travel the world? I felt especially lucky that day and looking back on it, everything just seems like a dream. We started our day with a quick croissant before walking up the Mound to Castle Hill to visit Edinburgh Castle. It was a steep hill made more difficult by the misty rain that was making the cobblestones almost too slippery to walk on. Just for future reference, I wouldn't recommend walking around in TOMS if you're expecting rain. They don't offer any traction at all! It was an extremely windy day and you could tell that the guards were having just as much trouble with the weather. They were slipping around in their dress shoes and struggling to keep their kilts down during the changing of the guards. Between marching and holding a gun in position at the same time, that's enough to manage without the added elements. 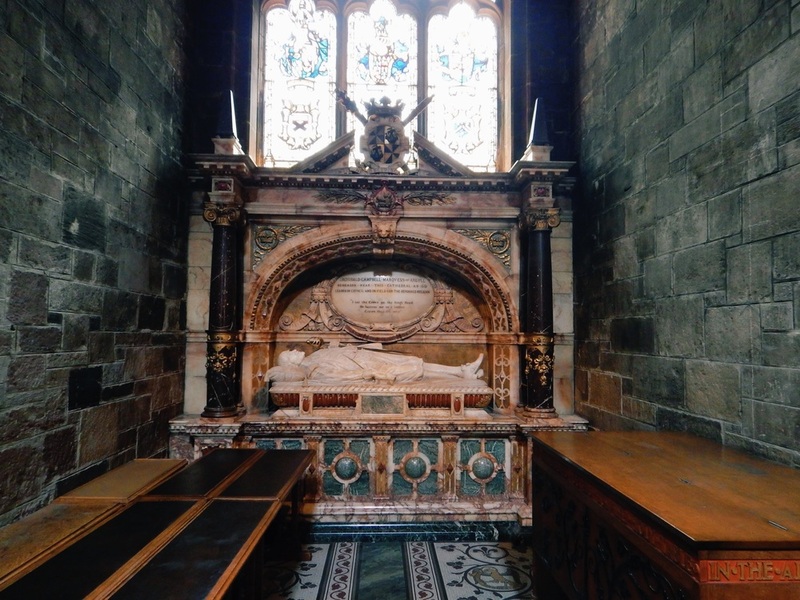 One of the first things we saw at the castle was St. Margaret's Chapel. 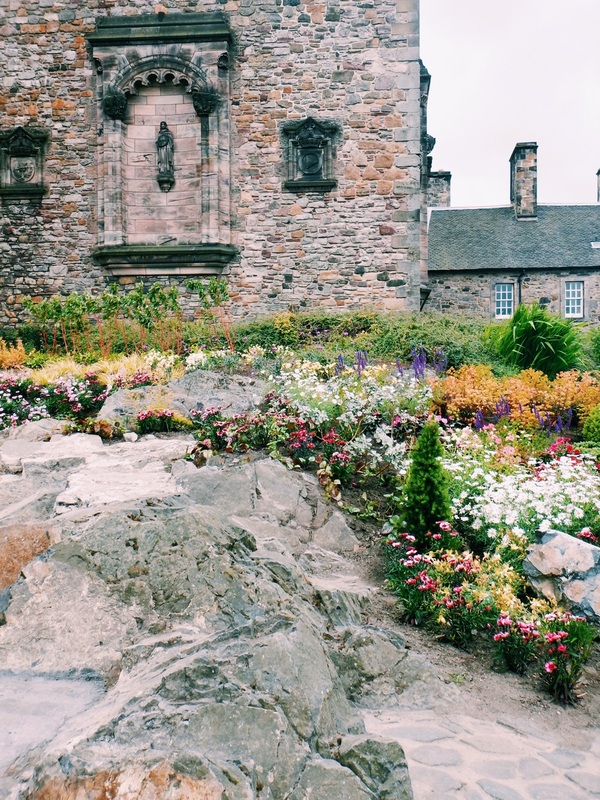 The small Romanesque structure dates back to the 15th century and is considered the oldest surviving structure in Edinburgh. 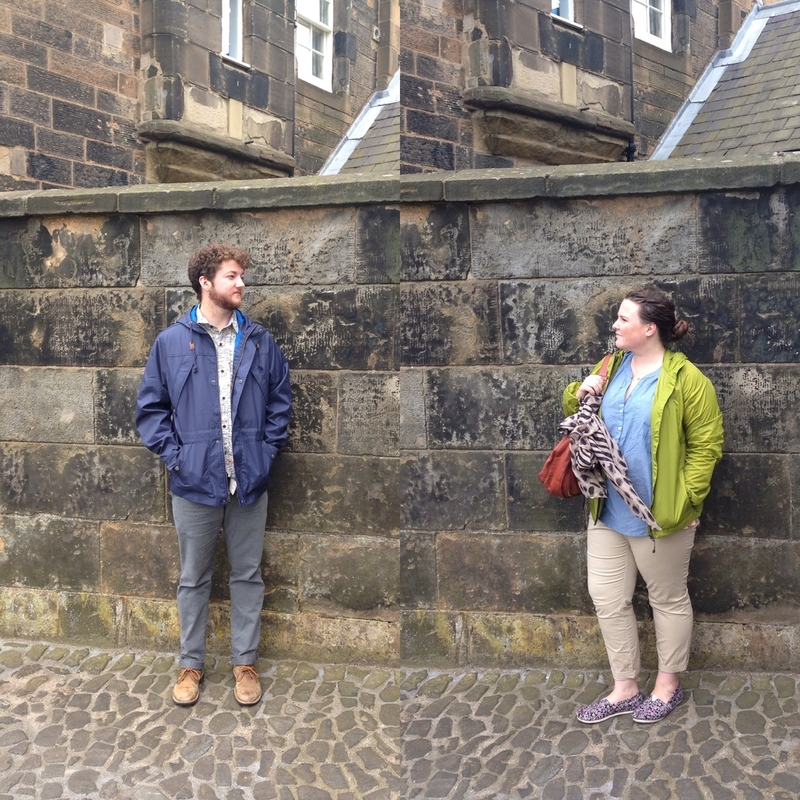 We spent a lot of time inside the Scottish National War Memorial in Crown Square reading the names on the Scottish Roll of Honour. The day before our visit, the Queen and the Royal Duke of Edinburgh visited the war memorial for a dedication ceremony so we got to check out the new plaque in honor of her new gardens outside the memorial building. Across Crown Square we waited in line to see the Crown Jewels. 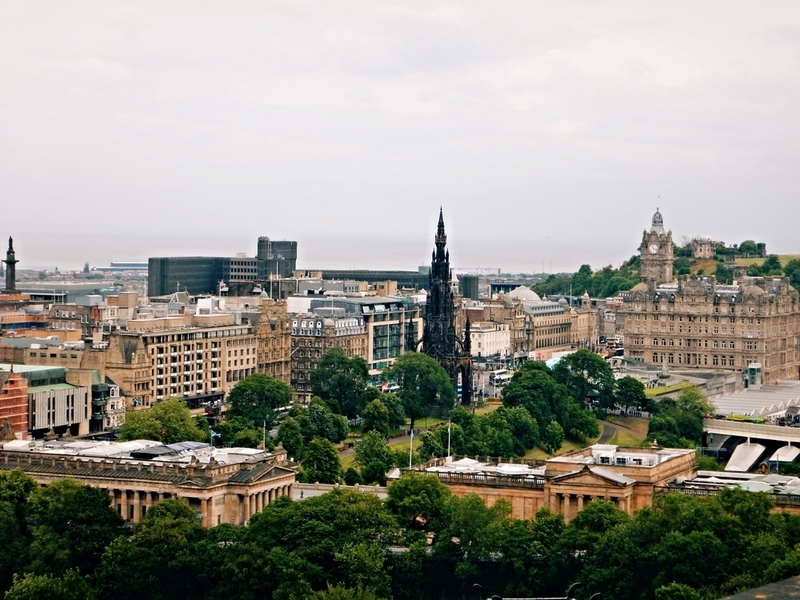 The sword, crown, and sceptre that make up the Honours of Scotland are the oldest set of crown jewels in all the British Isles. We made our way up a tiny spiral staircase that was barely one shoulder width wide. 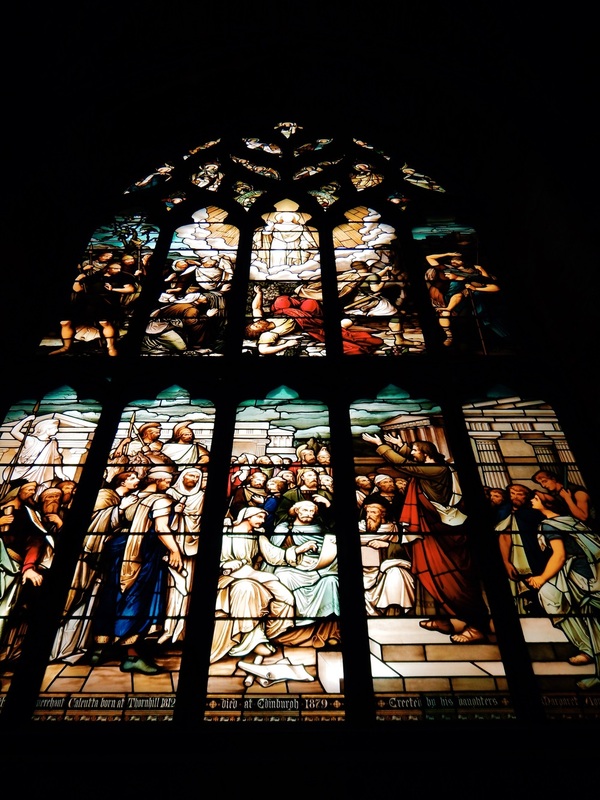 At the top, there was a dark room with illuminated cases that housed the jewels. There were also some exhibit spaces explaining the history of the jewels and their use in ceremonies but it was too crowded to really look at for long. After checking out the crown jewels we went to look in the Great Hall. It was one of the few really open spaces at the castle. 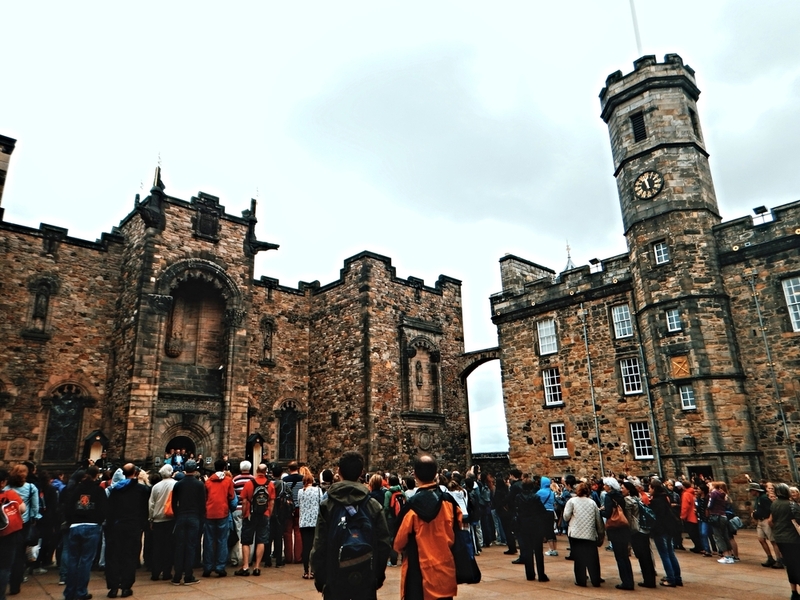 Since the castle was mostly used as a fortress, the interpretation seemed to focus on Scotland's military history more than the living spaces there which was a bit different than what we were anticipating. The great hall was full of arms and armor. The architecture of the room itself was incredible! The hall had intricately carved wooden panels and ceiling beams. It reminded me a lot of the Biltmore. 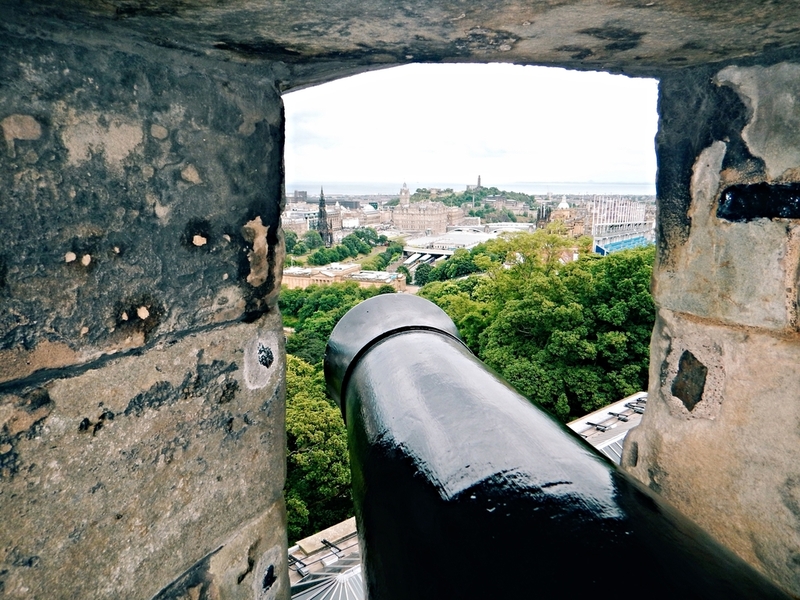 We'd heard the one o'clock gun going off a few times while we were in Princes Street Gardens during the week so we knew that we wanted to go see them fire off the cannons. We picked a spot overlooking the cannon so we can see. One big boom and it was done! The one o'clock gun was used in the late 1800s to help sailors set their maritime clocks while they were in port in the Firth of Forth. 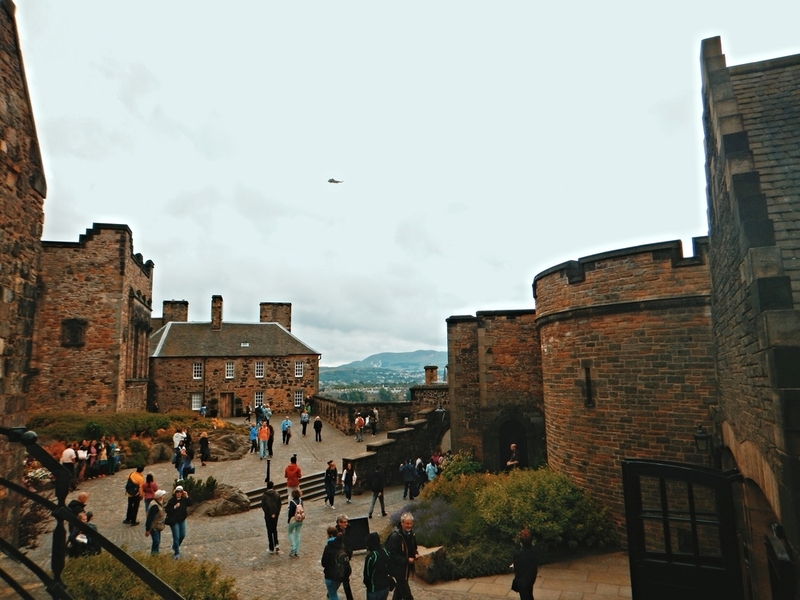 Our final stop at the castle was the National War Museum which had a huge collection of anything related to Scottish war history from badges and military costumes to wartime posters and portraits. Castle souvenirs in hand, we walked down the Royal Mile from Edinburgh Castle towards Holyrood Park in Old Town. 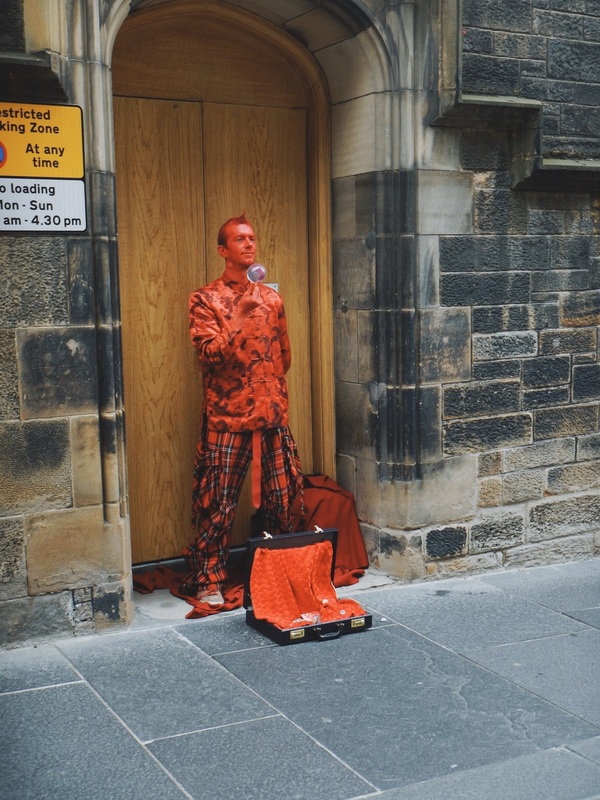 There were tons of shops, museums, and pubs along the Royal Mile. 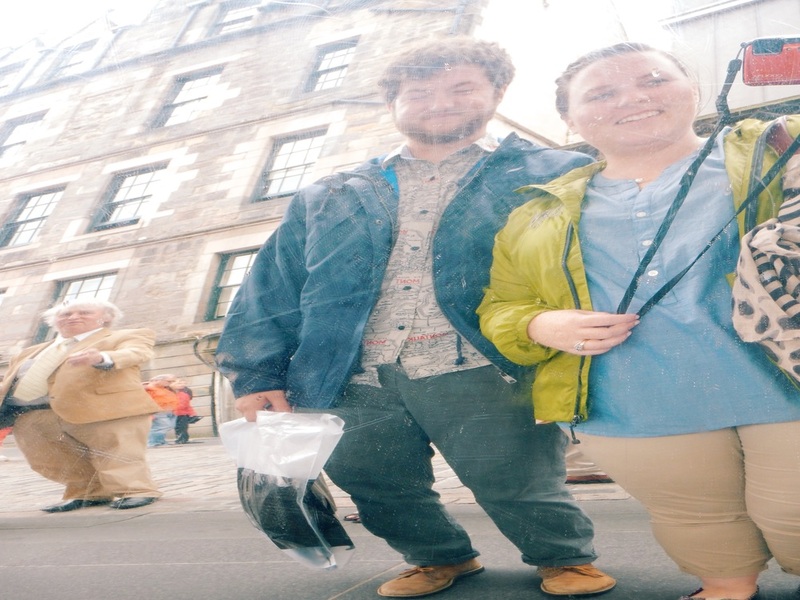 We passed by a famous restaurant called The Witchery and stopped to take a funny photo in a trick mirror in front of Edinburgh's Camera Obscura. 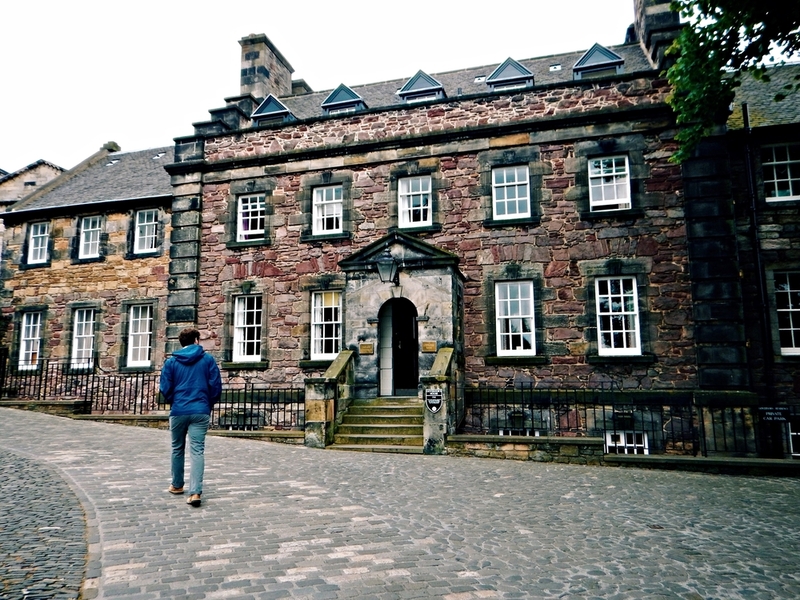 We also walked by the headquarters of Edinburgh's International Festival and the Writers' Museum. We took turns rubbing the toe of David Hume, one of Scotland's most famous philosphers, hoping for a bit of luck and enligh-toe-nment. 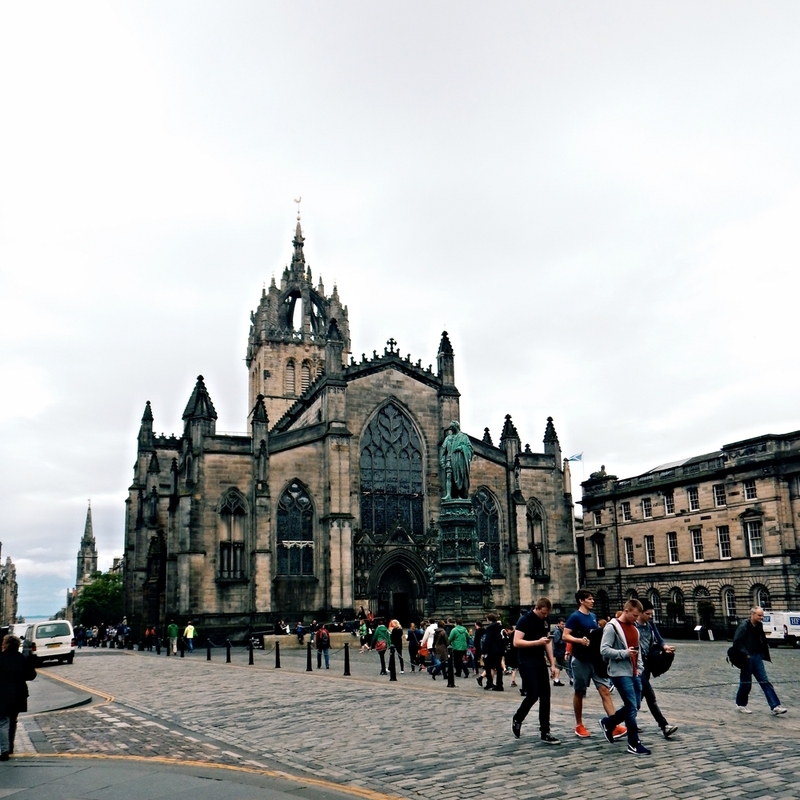 We finally made it down to St. Giles' Cathedral, the High Kirk of Edinburgh. Known for its crown-shaped steeple, most of the church dates back to the 15th century. 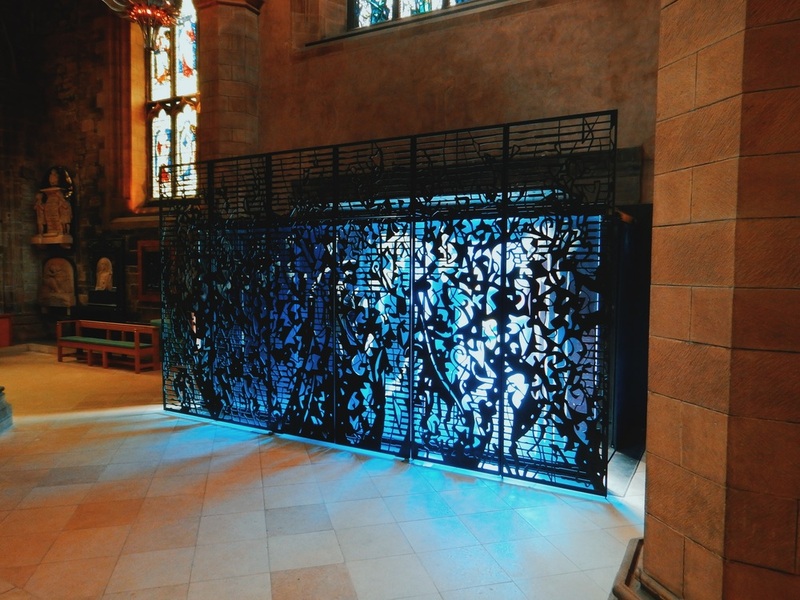 The intricately carved tympanum tells the story of St. Giles, the Patron Saint of Edinburgh who was wounded by a huntsman (he's also known as the patron said of cripples, and invoked for childhood fears, convulsions, and depression). There aren't any words that could accurately describe the beauty of the cathedral so I'm grateful that I paid a few pounds to be able to take photos while we were there. The entire royal family had been there the day before for the Order of the Thistle Service so the sanctuary was still filled with tons of lilies. The smell reminded me so much of our wedding since we'd had similar (but smaller) flowers during our own ceremony. For lunch, we ate at a Mexican chain called Chiquito. Instead of chips and salsa they served a small bowl of popcorn as an appetizer. I had the Sante Fe Wrap which was delicious but then again, I'm partial to any food that's rolled and handheld! We really didn't do much to celebrate the 4th of July because we obviously, not many people in the UK would be celebrating America's independence. For dinner we just decided to spend the night in and cooked spaghetti and meatballs. We had big plans for the morning so it was early to bed.